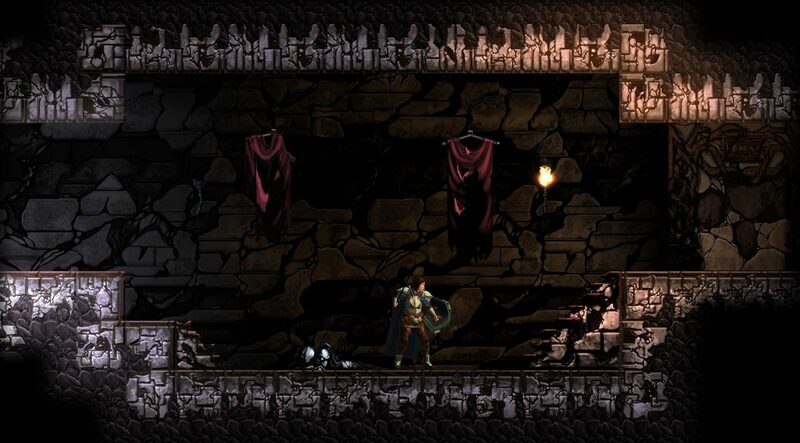 Indie metroidvania Hazewalker, as part of the team’s lead-up to their Kickstarter campaign/demo, has hopped onto Steam’s Greenlight. Hazewalker wears it Castlevania influence on its sleeve. And armor. And gothic backgrounds. Who’da thunk ten years ago that in 2014 there would still be a market for side-scrolling adventure titles? In a day when near-lifelike graphics are possible, who would want to play something that looks like an HD rerelease of an SNES game? The answer is: a lot of people. As the indie market shows, sidescrolling titles are still quite popular nowadays, especially those that fall into the category known collectively as “metroidvanias:” games that rely on the exploration and character progression systems laid out by classic titles like Castlevania, Super Metroid, and the like. Notable recent releases in this market would be critically-acclaimed indie titles like Rogue Legacy or La Mulana, while players outside the PC realm might me more familiar with Cave Story. Hazewalker looks to be the latest game in the long and (mostly) illustrious list of metroidvanias. The debut title from indie team TheoryForm Games, Hazewalker features a classic dark fantasy theme full of gothic architecture, magic, and heroes with swords, all played out with 3D models on hand-drawn 2D backgrounds. This room will be imminently familiar to anyone who has ever played a game in this genre before. TheoryForm Games have released little in the way of real information about what the game will consist of, though many conclusions can be drawn based on the gameplay and art styles that are being emphasized. As Falken you will traverse a sprawling semi-tile-based map filled with traps, puzzles, and terrifying beasties. As you slay these monsters or overcome challenges your character will level up with light RPG elements, find new equipment and secrets, and uncover elements of the story behind what you are doing and hope to accomplish. There is something about a curse, and a veil, but at the moment it is all very vague: typical of pre-release on games of the type, in fact. 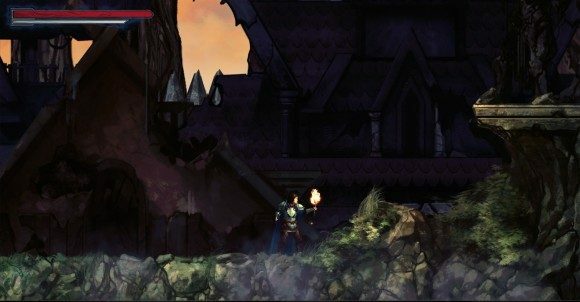 Hazewalker will be hitting Kickstarter on October 15th 2014, with releases eventually planned for PC, Mac, Linux, and the metroidvania-appropriate Wii U, while other platforms are on the drawing board. Response from media and players alike to the materials released so far seem largely positive as well, meaning Hazewalker has the potential to be an anticipated game of 2015. Until then, you can check out more about the game on its Greenlight page.